The island city-state of Singapore occupies a small space – about 700 square kilometers, on the southern tip of the Malay Peninsula, and is home to 5.4 million people. Efforts at fusing population density and nature began back in the 1960s, when the city’s motto was “Singapore – Garden City”. Recently, the city has put forth a new motto, “Singapore – City in a Garden”. Singapore has an impressive network of trails and pathways that connect parks and green spaces to one another. These park connectors allow people to walk, bike, and jog between various green spaces without leaving vegetated areas. The city-state has also made considerable efforts to integrate nature into its vertical spaces. A number of high-rise apartments, office buildings, and hotels have installed green roofs and indoor hanging gardens to help reduce the effects of urban heat island (wherein a metropolitan area is warmer than its surroundings because of escalated human activity). Landsat Images show that while the city grew in population by some 2 million between 1986 and 2007, percentage of the island in green area actually increased as well, from 36% to 47%. Few dense cities can truly boast being “in a garden” in the way that Singapore can. In many ways, Singapore is the shining example of a biophilic city. 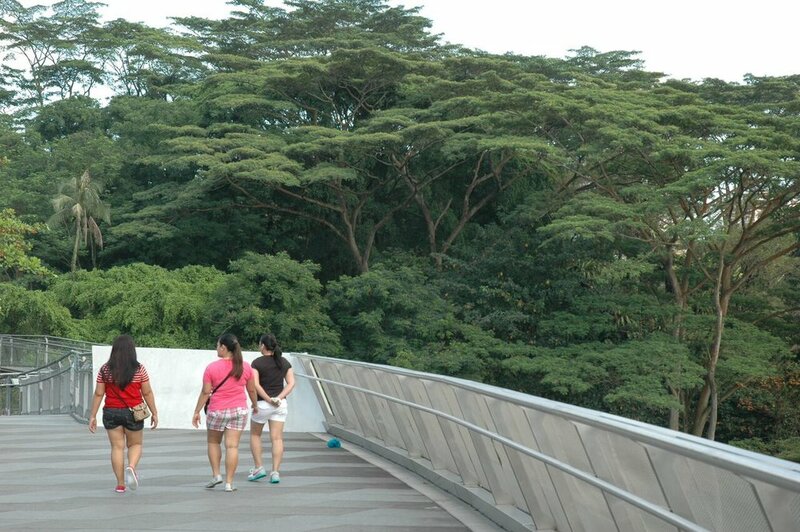 National Parks Board (NParks) is dedicated and committed to providing and enhancing the greenery of Singapore. Beginning with the first Tree Planting Campaign in 1963, NParks has come a long way in greening up our island city, with four nature reserves and more than 300 parks sprawled across Singapore to date and still growing. Adding to this is the extensive streetscape, or roadside greenery, that forms the backbone of our City in a Garden. 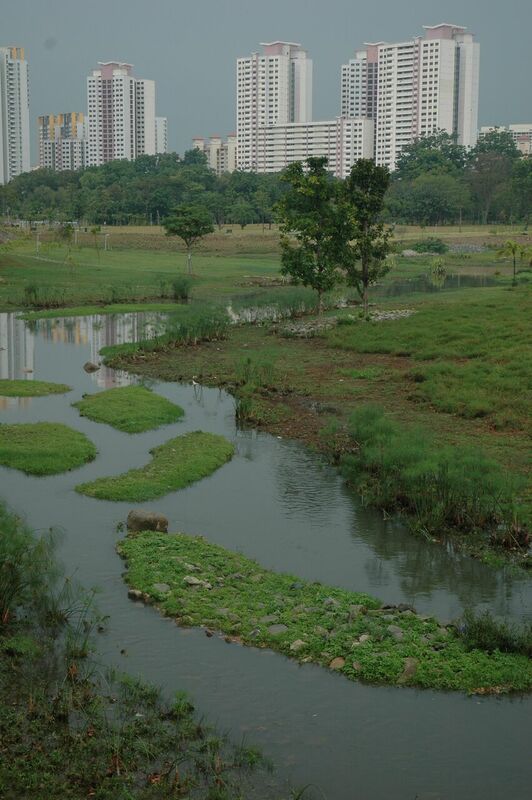 The Garden City Fund, established by NParks but managed independently as a charity, projects complement NParks’ efforts towards fulfilling its City in a Garden vision through: optimizing the green spaces in Singapore; supporting urban biodiversity conservation; engaging the community; and enhancing competencies of the landscape industry in Singapore. Singapore Botanic Gardens: With more than 150 years of history, the 82-hectare Gardens holds a unique and significant place in the history of Singapore and the region. Through the botanical and horticultural work carried out today, it will continue to play an important role as a leading tropical botanical institute, and an endearing place to all Singaporeans. The Gardens were designated a UNESCO World Heritage Site at the 39th session of the World Heritage Committee (WHC) on 4 July 2015. Center for Urban Greenery and Ecology (CUGE) provides professional skills training programs for all levels of professionals and is a national training institution of the Landscape Workforce Skills Qualifications (WSQ). CUGE serves as a regional repository of best practices to advance urban and green living environment. Gardens by the Bay delight guests with an enthralling experience and enriching programs. They also aim to be a model for sustainable development and conservation. Singapore is an island citystate with a land area of about 720 sq. kilometers (just over 275 sq. miles) and a population of 5.5 million. While the country has earned its name as a “City in a Garden”, the need to set aside green community spaces for relief and recreation is increasingly important in the years ahead as the country continues to progress and develop. The Rail Corridor was part of the former Keretapi Tanah Melayu (KTM) railway line that linked Singapore to Malaysia. It is twenty-four kilometers long (nearly fifteen miles), stretching across the entire island from Woodlands Town in the north to the old Tanjong Pagar Railway Station in the south. Since the railway ceased operations in 2011, the Rail Corridor became an informal public space popular with nature lovers, trail runners and cyclists. To the people who use it, it is a delightful “green corridor” characterized by the unmanicured natural landscapes throughout its length. Vestiges of railway history such as the black painted steel truss bridges and a small countrystyle railway station are retained and conserved as heritage structures. The Rail Corridor with its green biophilic experience and historical setting contrasts sharply with the rest of modern urban Singapore.